Home Lectio Divina Daily Reflections 20 December, 2017: Unworthy? “Rejoice O highly favoured one, the Lord is with you.” A line we pray several times a day in the Rosary, to seek the intercession of our Blessed Mother. Yet, the Scripture says, she was deeply disturbed by this greeting. In a society that saw God as the Holy of holies and human being so unworthy to find favour with Him, Mary’s disturbance is simply not surprising. But, the truth is God found her worthy of Him. We are all created in His image and likeness and His love for us is so overwhelming that He cannot discard us. Oftentimes we also belittle ourselves by deeming ourselves unworthy or unfit. John the Baptist called himself unworthy to undo the straps of Lord’s slippers, yet, “there is no one greater than him born of a woman.” Simon found himself unworthy and asked the Lord to depart from him, and he was made Peter, the rock upon which the Church was founded and he was raised to be the Shepherd of the Lord’s flock. Mary, “the handmaid of God” was elevated to be ‘the Mother of God’. 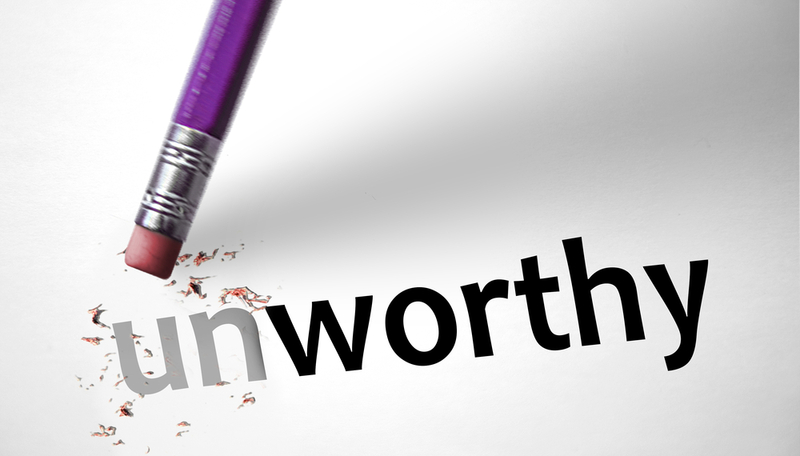 Our sense of unworthiness should not arise from inferiority complexes. We are created in the mage and likeness of God and He found us worthy enough to give up His only Son to redeem us. Our sense of unworthiness, then, should arise out of humility which was the characteristic of Baptist, Peter and Mary and many others. Let us not forget, every saint has a past, every sinner has a future.